Within your Newnan home, your bathroom should be a sanctuary of restoration and cleansing. The right combination of features can encapsulate your style and cater to your family’s needs easily. All Glass is ready to partner with you to design the perfect custom glass shower to suit your space. 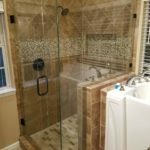 What makes custom glass showers so wonderful? Custom glass showers are easy to clean. Custom glass showers offer a sleek and modern appearance. Custom glass showers dramatically update the overall look of the bathroom. Custom glass showers produce openness to create the illusion of a larger restroom. Custom glass showers are visions of innovation and beauty. Custom glass showers harness the warmth and steam within the shower more effectively than a traditional curtain. A custom glass shower is one change which has a significant impact. Other than the kitchen, bathrooms are the next most desired space to receive home upgrades. 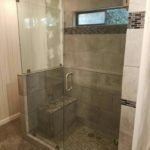 Although your budget may or may not allow for total bathroom remodeling or renovation, a well designed and executed glass shower alone can transform your bathroom dramatically. Our team of professionals will work directly with you to create a customized plan which will suit your bathroom’s style and your budget. 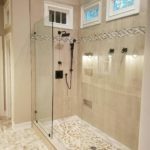 If your family is considering a bathroom renovation in Newnan or the surrounding area, choose All Glass to revolutionize your space with a streamlined shower installation. A custom glass shower has a clean and sleek appearance. Glass showers create a continuously smooth transition throughout the entirety of the bath space. Beautiful tile work inside of the shower will no longer be overlooked from the outside. Basically, all the beautiful features you have selected for your space can be appreciated without hindrance. 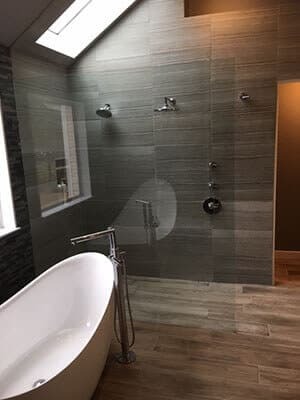 Serving Newnan and the surrounding area, All Glass is ready to help you create the perfect customized shower to accentuate your bathroom’s current features. In addition to giving a clean overall appearance, the actual cleaning and maintenance of our glass showers is easy. With a few wipes of glass cleaner, your custom glass shower will return to its original pristine condition. Unlike the alternative, shower curtains are a constant battle to avoid mold accumulation between uses. With a glass shower, your bathroom has a better overall look and is cleaner as well. A custom glass shower can be personalized to fit your style in countless ways. The right combination of these design elements can transform any bathroom regardless of how modern or traditional the overall decor. 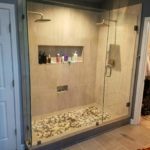 Conveniently located to Newnan residences, All Glass offers free consultations to show you how a customized glass shower can transform your space.